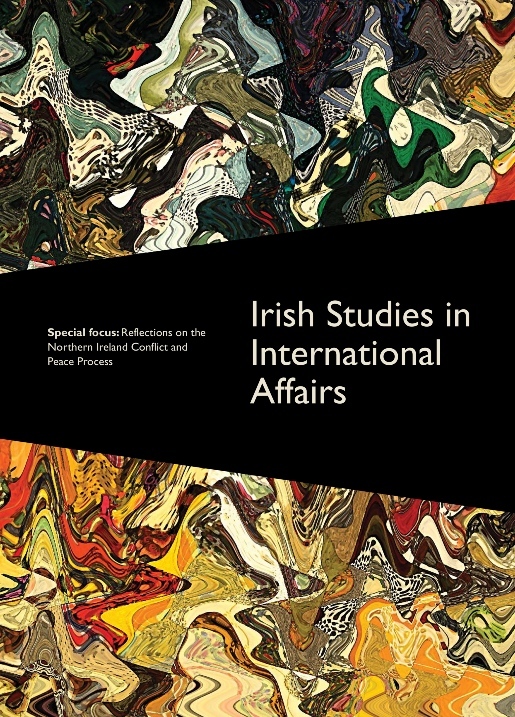 Irish Studies in International Affairs has been published since 1979 as the leading Irish-based, peer-reviewed, journal in the discipline, with an increasing international reputation and circulation. Each issue includes contributions on a special theme and other original articles related to Ireland and international affairs broadly defined, to include issues such as development aid, conflict resolution, trade and human rights. A special online volume of Irish Studies in International Affairs has been produced by the Royal Irish Academy to mark the 20th anniversary of the 1998 Good Friday Agreement. The volume, which gathers together ten articles published in the journal between 1994 and 2018, is available as a free download. Individual 3 year subscription available here. Individual 1 year subscription (student rate) available here. We welcome articles from all disciplinary backgrounds related to the study of international affairs including politics and international relations, history, law, economics, sociology, communications. A responsibility to protect? Sovereignty vs Intervention. As is the practice in good quality journals, all articles submitted for publication are peer reviewed, double-blind. That is, authors will not be identified in the copies given to reviewers, and reviewers will not identify themselves in their review. We aim to review with 10 weeks. Irish Studies in International Affairs continues to be an outlet for established academics and others in Ireland and internationally, but also a forum supporting postgraduates and others embarking on careers in international affairs research to present their work. Contributors to the journal have included: Garret FitzGerald, Robert Fisk, Mary Robinson, Patrick Keatinge, John Bowman, Martti Ahtisaari, John Bruton, Noel Dorr and Patrick Honohan. ISIA is now indexed in Scopus and Google Scholar and in addition to being published in paper format is available in full text format via JSTOR ensuring that published articles reach a wide audience and have long-term impact. Anyone wishing to submit a paper for consideration should send the manuscript by email to john.doyle@dcu.ie. The journal is published each December and typically for publication in a calendar year manuscripts need to be submitted for review no later than 30 April each year.